Udayan broke down while being interrogated for more than six hours at Bankura police station in the presence of top Bankura police. KOLKATA: Udayan Das, the West Bengal man who is accused of killing his girlfriend last year and his parents seven years ago, has reportedly told his interrogators that he would prefer to be given a death sentence and hanged in the Bankura jail so that his deceased lover’s parents can witness his death. The man had on Thursday confessed to killing Akansha Sharma because he suspected she was not faithful to him. Police sources said Udayan Das broke down during interrogation on Friday and begged to be hanged in the Bankura prison. A senior police official said Udayan Das was grilled for six hours on Friday. “Udayan started crying and said he deserved to be hanged for his crimes. He wanted to be hanged right there in the Bankura prison,” the officer said. Akansha's parents live in Bankura. The officer said Udayan Das wanted them to be able to witness his death. Thirty-two years old, Udayan Das is accused of killing Akansha Sharma on July 14, 2016, and burying her in the living room of his residence in Saketnagar in Bhopal. Police also say he killed and buried his parents, Birendra Kumar Das and Indrani Das, at their SBI Colony bungalow in Raipur in Chhattisgarh seven years ago. After both murders, he continued to keep their Facebook accounts alive in an effort to give the impression that they were still alive. Udayan Das is believed to have told his interrogators that after murdering his parents, he withdrew Rs 28 lakh from his father's account and Rs 22 lakh from mother's account and was going to withdraw Rs 19 lakh more. Udayan Das first met Akansha at Jaipur airport in 2007 and drew closer to her on social media. 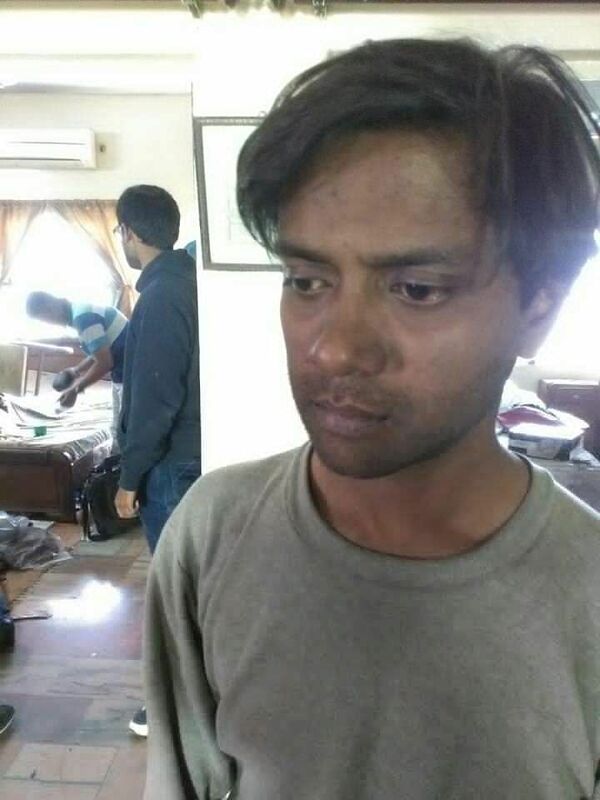 Akansha and Udayan Das met 14 times from 2007 to 2014 in Bhopal where he had moved after the murder of his parents, sources revealed. The man is slated to be in custody of the Bankura police till February 15, when he will be produced in the district court. The Raipur police will then seek Udayan's transit remand to investigate him for the murders of his parents.